Despite the ferocity and raw power of bowie knives and swords, these big, bad blades are often worthless when it comes to self defense or in tactical scenarios that require stealth. If you need a perfect self defense weapon that easily avoids detection in any situation, look no further than Black Legion's Triple Kill Ninja Defense Spike. 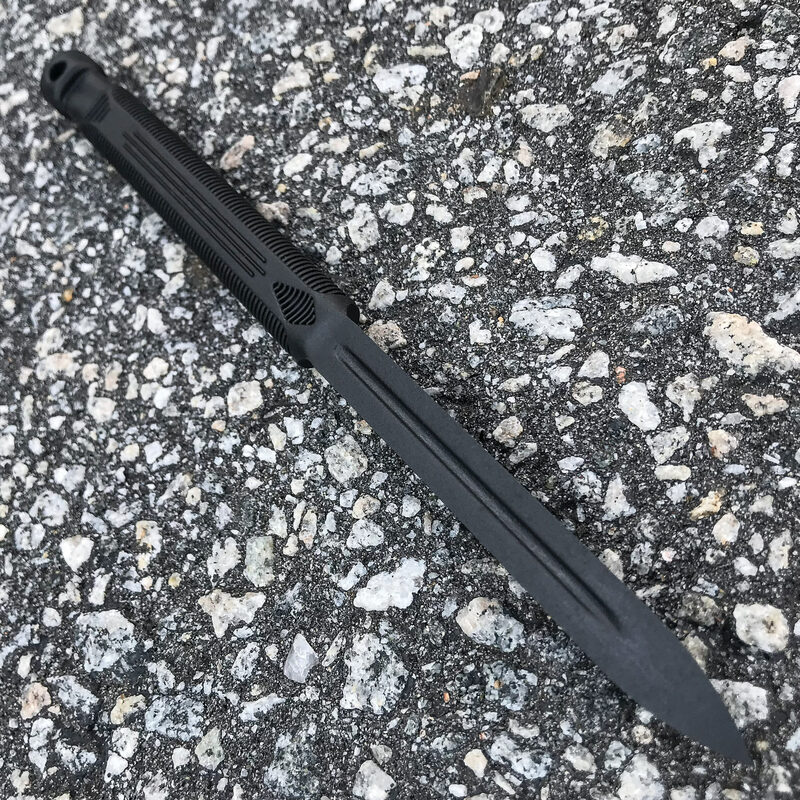 At just 7 3/4" long overall, the "Triple Kill" is easy to hide on your person, and its advanced glass-fiber-reinforced nylon construction makes it lightweight and invisible to most electronic detection devices. But its small, seemingly benign form withholds a deadly secret - a 3 1/2” triangular, three sided/three edged spike with sleek blood grooves and a savagely sharp point. The Triple Kill Spike easily penetrates practically any material with the same brutal clout as its metal bladed cousins, yet it weighs no more than an average ink pen. 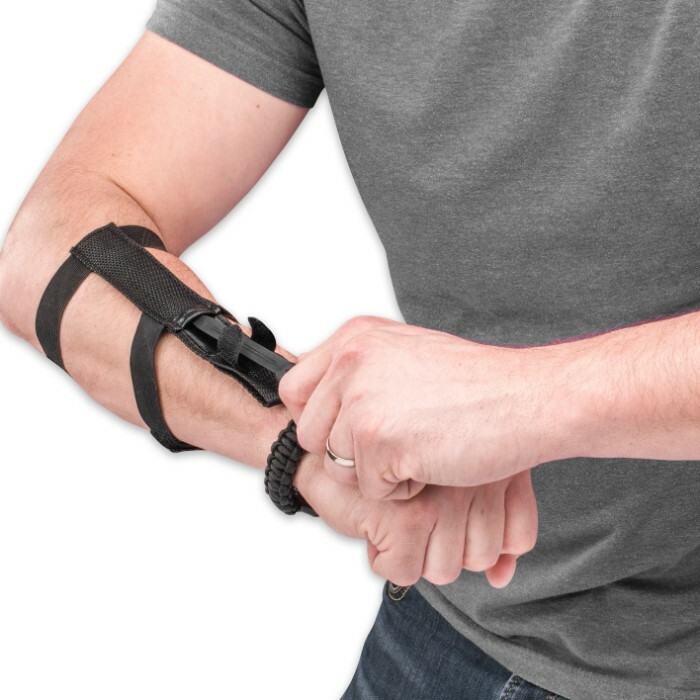 Along with the ridged, no-slip-grip handle, this makes for an extraordinarily effective defense weapon that's easy to wield and even easier to conceal. 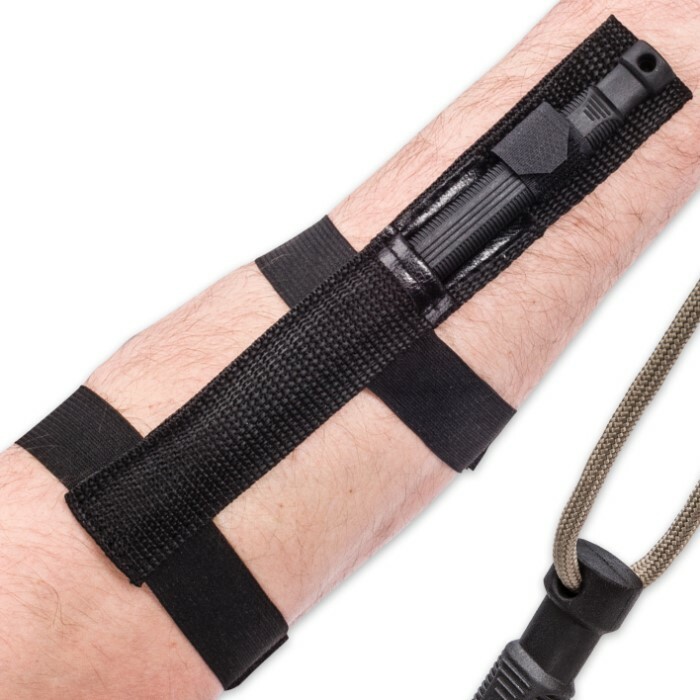 Strap it to your leg or arm with the included nylon leg sheath or (carefully) hang it around your neck with the integrated lanyard hole. 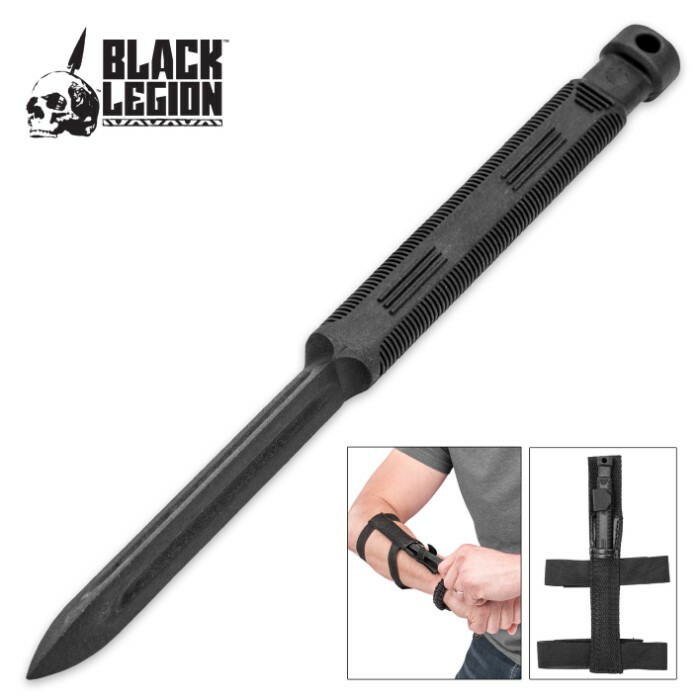 A must-have for any tactical or self defense arsenal, the Triple Kill Spike from Black Legion demonstrates that sometimes it's the most unorthodox and unexpected weapon that proves the fiercest and most effective. The concept is there, the "sheath" really needs work though. Excellent Just stab any punching bag and you will be paying the gym owner for a new bag ! The stabbing power is awesome! Perfect for undercover. Lightweight, strong, fits right under a long sleeve shirt, and the price is unbeatable. Comes exactly as described. Extremely lightweight and seems sharp even though it's not made of metal. I noticed some marking on the tip like someone had already tried to use it but I don't think it has a bearing on the effectiveness.